With Thanksgiving just a day away, this week’s rock review will feature the stone of gratitude, Kunzite! Kunzite is a version of the pyroxene mineral called Spodumene. It is made up of Lithium, Aluminum and Silicon compounds. It is usually pink or lavender in color due to the presence of Manganese. This is what makes it different from other types of Spodumene. The tone of Kunzite is often so light that it is frequently heat treated or irradiated to enhance its color. 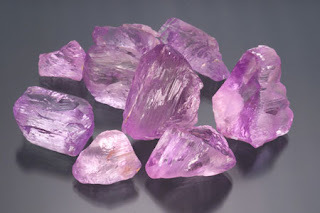 Kunzite can also fade when exposed to sunlight, so it’s important to keep it stored safely when it’s not in use. It is a 6.5-7 on Moh’s scale of hardness, so it’s suitable for many types of jewelry, including rings and bracelets that may take on a bit more wear and tear during daily use. A Kunzite stone that appears to be violet, pink or lavender from different angles can be attributed to a skilled gem cutter. When its planes are displayed well, it can take on almost an iridescent sort of look due to a trait called pleochroism. Kunzite was discovered in 1902 in San Diego county, California and named for George Kunz, who was the chief jeweler at Tiffany and Company at the time and a well known mineralogist. He was the first person to give a comprehensive description of the gem as its own variety. Kunzite can be found in Brazil , the U.S.A, Mexico, Canada, Sweden Australia, Afghanistan and Pakistan. Today, other varieties of Spodumene are used as a source of lithium for batteries, ceramics, mobile phones and medicines just to name a few. Kunzite is said to be the stone of gratitude and is thought to bring love, joy and peace to its wearers. It bestows upon it’s wearers a sense of calm and serenity. What a perfect choice for the holiday season as we count our blessings and draw our loved ones near. Rainy November days can have you longing for a bit of cheer, which is why today’s rock review features the lovely Morganite. Morganite comes from the Beryl family of gems. Beryls are beryllium aluminum silicate compounds. Pure Beryls are clear, however, the presence of other elements can change the color of the gemstone. When Manganese combines with Beryl, it produces a lovely subtle pink color that becomes more noticeable in larger gemstones. This makes size an important factor in selecting an Morganite gemstone. If the carat is small or the cut poor, the pink color is more difficult to see. Big and bright stones are the best choices to feature the gems unique traits. Occasionally orange and yellow tones can be found in this variety of Beryl also, often with color banding present. Morganite registers a 7.5 to 8 on Moh’s scale of hardness. This makes it an ideal choice for any type of jewelry, including rings and bracelets. 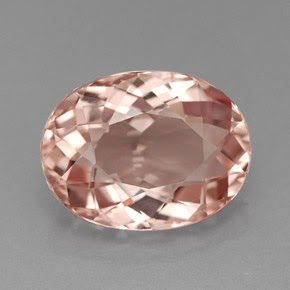 Until 1911 Morganite was simply known as Pink Beryl. It was named for business tycoon J.P. Morgan, who also happened to be a gem collector. Gem healers use Morganite as a mood booster because it helps a wearer to concentrate on the brighter side of life, even in stressful times. It also radiates calming and relaxing vibes. One of the largest Morganite stones ever found is called the Rose of Maine, and was found in 1989 at the Bennet Quarry in Buckfield Maine. It measured 9 inches long and 12 inches across, weighing in at just over 50 pounds. Now that’s a whopper! This week’s rock review features Tourmaline! Tourmaline’s name comes from the word "Thuramali" or "Thoramalli" the word for gemstone in Sri Lanka. Many brightly colored Tourmalines were originally brought to Europe by the Dutch East India Company in the fifteenth century in order to interest Europeans in new and different types of gems, which were highly in demand at the time. Today Tourmaline can be found in Brazil, Africa, Sri Lanka, Malawi, Afghanistan and a few locations in the U.S.A. 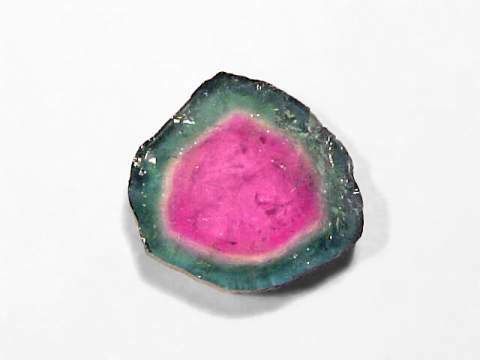 Pink and green Tourmalines are currently mined in Maine and in California. Native American peoples in these locations had used Tourmaline for many years, giving green and pink varieties as commemorative gifts at funerals. That is no surprise to gem healers who use pink and green Tourmalines to enhance happiness and open the spirit to love from others. Tourmaline is a stone that comes is a wide variety of colors, but is seen in it's finest gem varieties usually in dark green and a variety of pink shades from light watermelon to fierce magenta. Tourmaline consists of aluminum, iron, magnesium, sodium, lithium and potassium. It is found in metamorphic rocks like granite, Marble and Schist. 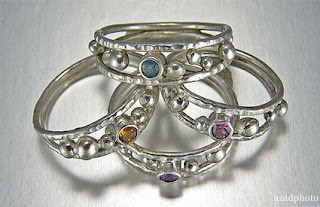 Gems with a high iron content can be blue, black or brown. Gems containing large quantities of magnesium are brown and yellow. Gems with a high concentration of lithium can be almost any color. We get the very trendy Watermelon Tourmaline from the lithium based varieties. Some very special Tourmalines are dichroic, meaning they change color depending on the direction which they are viewed. Tourmaline has a trigonal crystal structure and occurs in long thick and thin out cropping columns that take on a triangle shape. It is a 7-7/5 on Moh’s scale of hardness. Today’s Rock Review highlights Citrine! The birthstone of November. Citrine is a member of the quartz family. Its name is derived from it’s lemon yellow color. However, the most valued citrines have an amber or reddish yellow tone to them. It is a very durable gem, scoring a 7 on Mohs scale of hardness. It also has relatively little cleavage, meaning it can take some impact with little likelihood of fracture. In past decades, Citrine was marketed as “Golden Topaz”. That name has been hard to shake, since it often takes a skilled jeweler to identify the subtle differences between Citrine and Topaz. However, Topaz tends to be harder and heavier then Quartz, with a higher refractive index due to the presence of fluorine aluminum silicate. Topaz, however, has higher cleavage than Citrine and requires some care during the cutting process. 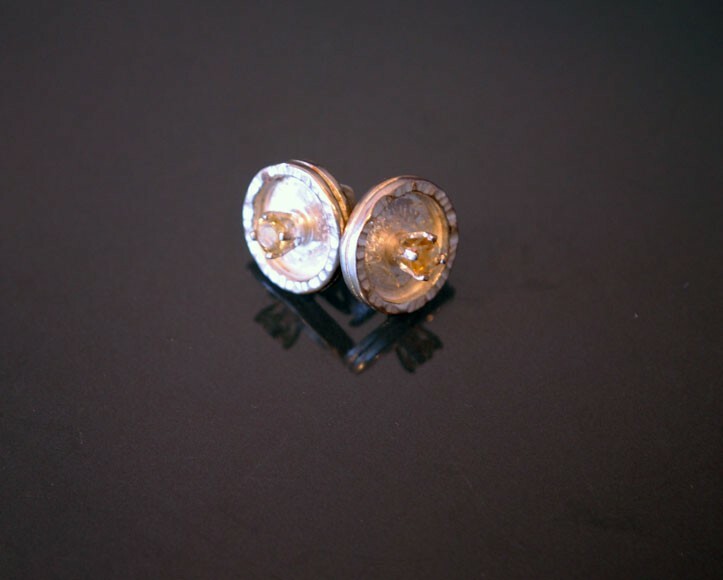 Citrine historically has been found in Spain, France, Hungary and the Scottish Isle of Arran. More recently, Citrine has been discovered in Brazil, Bolivia, some African countries and parts of the Soviet Union. The gem is thought to bring happiness, joy and optimism into its owner’s life. Gemstone healers often use the stone to increase self-esteem and open the mind to new thoughts. Tradition refers to Citrine as the “Merchant Stone”. Shop keepers often kept one in their cash boxes to maintain wealth and bring good fortune. Many shop owners still enjoy this practice today. Citrine was also worn to protect a wearer from snake venom. Visit the Layne Designs Website to check out some of our work in Citrine!